In the previous post, we have learnt about the desiredcapabilities in selenium. In this post, we will introduce you with a very important concept of Selenium automation Testing , which is TestNG Framework. Till now , we were creating the classes having the main method which is the entry point for any execution of test cases. What if we don’t have main method in the classes? Can we execute test cases without having the main method in the classes? It can be possible by using TestNG. 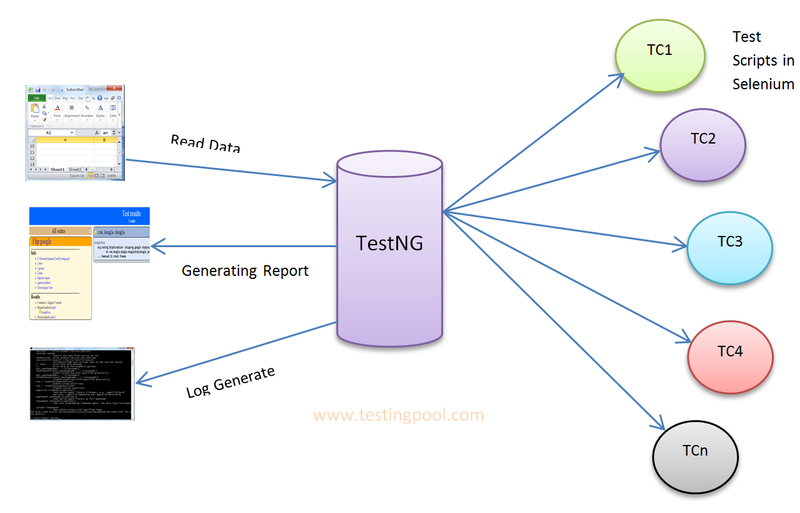 TestNG is nothing but a testing Framework inspired by Junit(Unit testing framework) and Nunit(open source unit testing framework for Microsoft .NET). NG stands for next Generation. TestNG was developed by Cedric Beust to overcome the limitations of Junit, which is another popular testing Framework used in Selenium. But TestNG is more powerful and easier to use that’s why it has become more popular and used by many developers because it provides the flexibility and ability to write more powerful test case with the help of annotations, grouping , sequencing & parameterizing. It provide flexibility to execute a class separately or a group of classes. In JUnit 4, we have to declare “@BeforeClass” and “@AfterClass” method as static method. In TestNg , we don’t have this constraint. 3 additional annotations for entry and exit set up of code available in TestNG. In Junit, annotation are bit confusing to understand like “Before”, “After” and “Expected”. It creates confusion what to do before, after and what is expected? In TestNg , it is simplified as “BeforeMethod”,”AfterMethos” and “ExpectedException” etc. In TestNG , we can create a dependency of tests on each other by using “dependsOnMethods”. It provides a HTML report of all test cases execution. Data input can be provided easily. Running group of test cases.